The Birmingham Public Library was chosen as the only public library among institutions worldwide holding noteworthy collections compiled by individuals. Yale University, the National Library of Scotland, and the British Library were among the participating institutions. Speakers included archivists, librarians, and scholars from the United States, Britain, Canada, Spain, the Czech Republic, Finland, and Greece. The conference was jointly organized by Chawton House Library in Alton, the University of Southampton English Department, and Goucher College, Baltimore. The Hill Ferguson Collection is named for Birmingham collector William Hill Ferguson—who compiled over 150 scrapbooks tracing the city’s history from its founding in 1872 to the mid-1960s. Brother-in-law and business partner to Birmingham’s prolific real-estate developer Robert Jemison, Jr., Ferguson was a civic leader whose social connections no doubt influenced the material he collected. Mr. Ferguson died on September 18, 1971. The Hill Ferguson Collection can be found at the Birmingham Public Library’s Department of Archives & Manuscripts, located in the basement of the Linn-Henley Building at the Central Library. 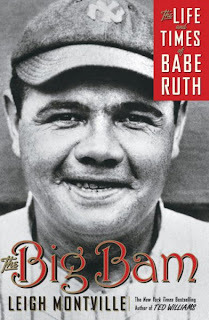 The Big Bam: the life and times of Babe Ruth is not simply a spicy, tabloid biography. Nor is it simply a book of stats. Leigh Montville does an excellent job of showing the historical importance of Babe to the game itself. Babe’s use of the long ball did revolutionize the strategy, the skills, the very core of the game, but the long ball was not the only revolutionary change Babe brought to baseball. Christy Walsh was one of the first PR men specializing in sports. He arranged for ghost writers to pen the Babe’s instructions for young boys in Boy’s Life, write instructional books, and newspaper pieces. He arranged for Babe to analyze games on the radio. Farther a field, he brokered parts in movies and fund raising dinners for his wildly popular client. Of greater importance, he repeatedly glued the national icon’s reputation together after Babe broke it on the diamond or on the streets. During the height of the depression Ruth signed a one year baseball contract with the Yankees to play for $52,000. If Ruth didn’t introduce big money to sports he certainly ensured that the two would have a long, albeit stormy, relationship. In 1925 Babe’s off-field excesses reached a tipping point. He found his body folding under the alcohol, all meat diet and late nights. He checked into the gym of dietician and physical fitness guru Artie McGovern for physical rehabilitation. After six weeks of working out with small weights, boxing and rowing machines, the Babe lost 44 pounds. “His blood pressure went from 107 to 128. His pulse rate from 92 to 78.” He returned to the diamond that season and the Yankees went to the World Series. The athlete/celebrity personal trainer had arrived. Montville also attempts to shed light on the myths that surround the myth laden life of the Babe. We’ll never know for sure if the Babe really called that immortal shot at Wrigley Field in the 1932 World Series. But Montville does unearth why the Babe would have made such a move. He’s on more certain, if more controversial, ground when discussing Boston Red Sox owner Harry Frazee’s sale of the Babe to New York. And baseball stories. What baseball book, let alone a biography, would be complete without baseball stories? You think of outrageous baseball stories and you think of the Babe. After all, His whole life was an outrageous tale. Montville includes a cornucopia of tales to make you laugh, cry and yes blush. The new design of the library catalog is more than just a beauty makeover. With this updated look come some innovative functions that make searching more productive and that offer users new opportunities for rating and reviewing library material. For better searching, the improved keyword search option brings the best matches to the top of the results list and also organizes the results based on relevance. From here users can choose which items best match what they had in mind. Another new feature lets anyone with a JCLC library card rate items in the catalog on a five-star rating system, and anyone using the catalog will recognize the iconic appraisal device at once. Coming soon, the spell-checking feature will reduce searching errors generated by misspelled or mistyped words and will help with nonstandard or confusing spelling as well. And in the near future, users will be able to write and add their own reviews of the books, movies, and music offered by the library. A new look, new features, and the same great service are all online at www.bplonline.org. The Birmingham Public Library will promote Alabama authors at the second annual Local Authors Expo on November 30 and December 1, 2007. This year the library has expanded the Expo to two days to allow time for more authors to meet the public and to showcase and sell their books. Authors may choose either Friday or Saturday and will exhibit from 11 a.m. to 3 p.m. Applications for the limited exhibit space will be accepted on a first-come, first-served basis. Additional details and information about submissions are available Tuesday-Friday at 205-226-3726. 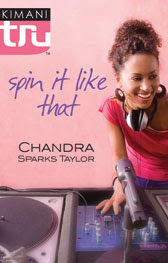 Chandra Sparks Taylor will appear at the West End library to talk about her new young adult book Spin It Like That. The book is about a bright 16-year-old girl whose love for music and spinning earns her the admiration of her peers and soon attracts the interest of music industry honchos. Her parents want her to focus on her studies and soon it's hard to tell who is a friend or a fake, but what’s a girl to do when she feels the beat, starts to rhyme and just has to spin it like that? Taylor will also be on hand to give advice to budding young writers. She owns Taylor Editorial Service, an editing and ghostwriting service whose clients have included Michael Baisden, E. Lynn Harris and Alisha Yvonne. She has many years of experience in the field and is sure to have some excellent tips, so take good notes. Taylor, a 36-year-old mother of two, grew up in West End and now divides her time between her homes in Vestavia and New York. She says she always dreamed of writing books geared toward young African Americans because growing up "there were no people like me on the cover." Refreshments will be served and a book signing will follow the program. For more information check the Calendar of Events. It was two years ago this July when the Birmingham Public Library introduced its newest product for booklovers: Bookletters. Bookletters is a smorgasbord of new fiction and non-fiction books and reviews, author bios and interviews, book group discussion guides, and even audio clips, all easily accessible online. The best part of Bookletters is Newsletters, a sign-up feature that allows you to select from 30 different genres and categories to have the newest titles delivered monthly right to your inbox . You may subscribe or unsubscribe at any time. If a book interests you, reserving it is just a few clicks away. Let me take you on a behind-the-scenes tour of the work that goes into these Newsletters. Staff at Bookletters and BPL scour publishing journals and websites for the latest titles, which are then plugged into each Newsletter. Included in each Newsletter is a picture of the cover art, a description of the book and often a review, and direct links to our catalog for every title and author. The Newsletters are then published and sent straight to you via email. We do the research so you won't have to. So, help us celebrate a successful two years with Bookletters by logging on, signing up and checking out what's new. Although I’m not a big fan of mysteries, I am a die-hard horror fan, and when I saw the book Promise Not To Tell by first time novelist Jennifer McMahon come across my desk, I had to read it. Part murder mystery, part ghost story, it tells the story of two similar murders that take place thirty years apart in small town Vermont. Kate Cypher is a Seattle school nurse returning to her hometown to check into nursing homes for her mother, who suffers from Alzheimer’s. On the night of her arrival, a young girl is killed in the woods near her mother’s home in the same brutal manner as was her childhood friend, Del Griswold aka The Potato Girl, thirty years earlier. Kate introduces the story with a shocking confession: I killed someone tonight. The Potato Girl has grown in legend, as popular among New Canaan’s citizens as The Hook and the Ghostly Hitchhiker. It is said that she rose from the dead on the same spot where her heart was cut out, and that she roams the woods seeking victims and revenge. Truth be known, when alive Del Griswold was just a motherless 11-year-old who lived on a dilapidated farm with an abusive father and her seven brothers. She was a pariah at school, bullied and teased unmercilessly, practically friendless until a young Kate arrived in town to live with her mother on a hippie commune. Like all good murder mysteries, there is plenty here to keep one guessing. The list of suspects is long. Was it the bus driver? Del’s mute friend?A member of the hippie commune? Kate’s mother? Kate herself? And objects linked to both murders keep appearing and disappearing at inopportune times: a rusty sheriff’s badge; a necklace; a plastic-handled knife; a Swiss Army knife. Promise Not to Tell is an intriguing story of people who harbor secrets or threaten the secrets of others, sometimes at their own peril. 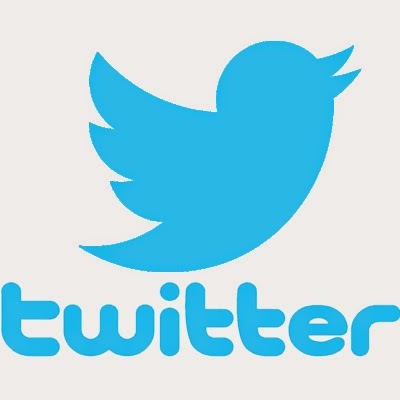 It is a psychological study about bullying and peer pressure, and the shame and guilt wrought by them . And, most importantly, it is about new beginnings realized by letting go of the past. 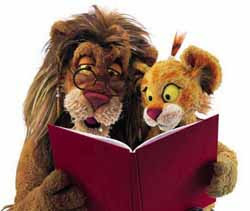 Between the Lions live appearance July 17th! Join Theo and Leona from Between the Lions for fun, reading, prizes and surprises Tuesday, July 17, 2007 at North Birmingham, Five Points West and Springville Road public libraries. Do you need a new recipe for the 4th of July? How about a special craft for the kids to create. Wondering how to photograph all those beautiful fireworks? Or, are you most interested in reading the Declaration of Independence? If so, check out several recommended resources found here.